LOSING your job is the pits. One minute you're moaning about your boss or the quality of the canteen, the next you're history. Since Ireland's economy hit the skids five years ago, we've been inundated with horror stories of redundancy and job loss – our unemployment rate has shot up to 14pc, with 294,000 people now officially unemployed and a total of 426,100 signing on the Live Register to access benefits of different kinds. It's a cold, hard world out there for the jobless – and the effects can be devastating. The mortality rate for unemployed people is two and a half times higher, and they face a higher risk of suicide, cardiovascular disease, injuries and accidents than people who have not suffered unemployment according to one 23-year-long Swedish study. "Unemployment kills people," warns Professor Robert L Leahy, a psychologist and specialist in cognitive behavioural therapy. Leahy's just written a book on the subject; 'Keeping Your Head After Losing Your Job'. It's a self-help book – but not one that shows you how to land another job. Instead it provides a range of psychological tools to cope with career armageddon. And, it seems, most of us could do with some guidelines for when the worst happens. "There is an increase in depression, insomnia, anxiety, worry, suicide risk, low self-esteem, malnutrition, alcohol intake, smoking and poor physical health," warns the director of the American Institute of Cognitive Therapy. 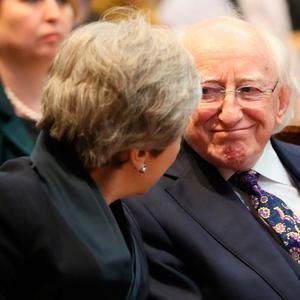 Leahy, whose ancestors came from Co Cork, says that even the prospect of becoming unemployed can deeply upset people: "One study found that even thinking about being unemployed can increase your cholesterol levels." It's a well grounded fear because, he says: "There are a lot of psychological and physical consequences of being unemployed." He believes, however, that simple cognitive behavioural therapies can help you change the way you think, and lead to a different outcome. Often the first reaction of those who have become unemployed is to feel humiliated, says Leahy. "They will isolate themselves. Because they isolate themselves they become more depressed and more self-critical and are more likely to ruminate on the negative. Often they feel like a victim." By all means, he says, validate your feelings of anxiety, anger and depression – but consider whether you really want to stay stuck in the rut of feeling like a victim: "Ask yourself how long you are to stay there, because it won't help you get another job," he says. "We can focus on positive goals or we can focus on the enemy but you'll feel better with the former." Instead of saying 'I'm a loser because I lost my job', he says, look at the huge numbers of people who are unemployed. Do you think your friend/uncle/ sister is a loser because they're unemployed? The worry brought on by job loss – because we tend to see work as central to our identity – can be a torment. Worry involves negative thoughts about the future – and it can become so bad that it can prevent you sleeping or focusing. When you find yourself worrying, ask if you could be doing anything more productive. Most people will get jobs eventually – but sitting around worrying about your chances is not going to help you find employment. Instead gear up – finding a job has a lot to do with persistence: "The more time you spend trying to get a job, the higher your chances of getting one," he says. Stop fulminating about your future – instead make the crucial distinction between productive and unproductive worry and, rather than viewing unemployment as a permanent badge of dishonour see it as time between jobs. Look at it as a chance to spend more time with your family and help out with chores. Give the household accounts a thorough going-over, and re-evaluate your material needs. "There are a lot of things you've been buying that you don't really need," he says. Try volunteer work – this is a major source of self-esteem and allows you to get outside your own head, he believes. See your friends, go for a walk, get in touch with former colleagues and above all, aim to make your day productive. 'I have one patient who was out of work. He was an architect and began to volunteer for a group called Habitat for Humanity, which helps develop housing for poor people. He met people who really liked him – and ended up getting work!" 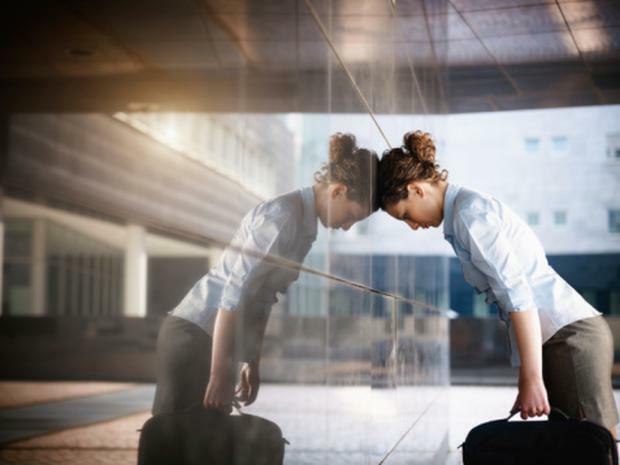 Losing your job presents us with a distinct choice, Leahy explains. "You can approach unemployment as being a victim – or you can be positive and have a plan." And that's where the cognitive behaviour therapy side of things kicks in he says – you have to start by actively changing your thoughts.